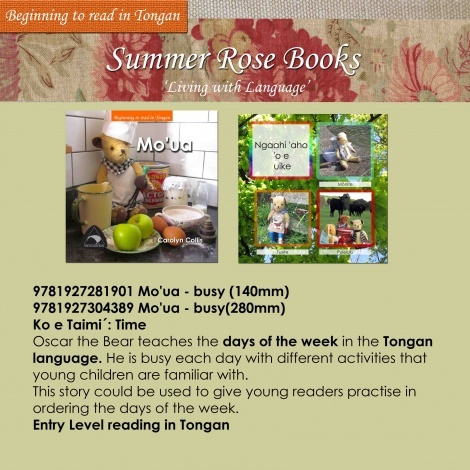 Oscar the Bear teaches the days of the week in the Tongan language. He is busy each day with different activities that young children are familiar with. 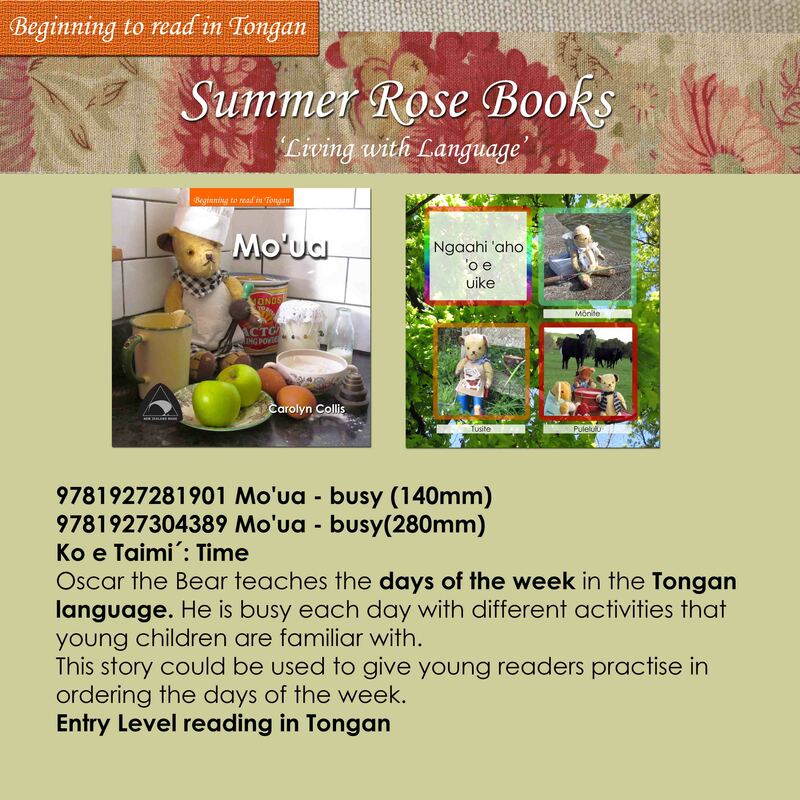 This story could be used to give young readers practise in ordering the days of the week.